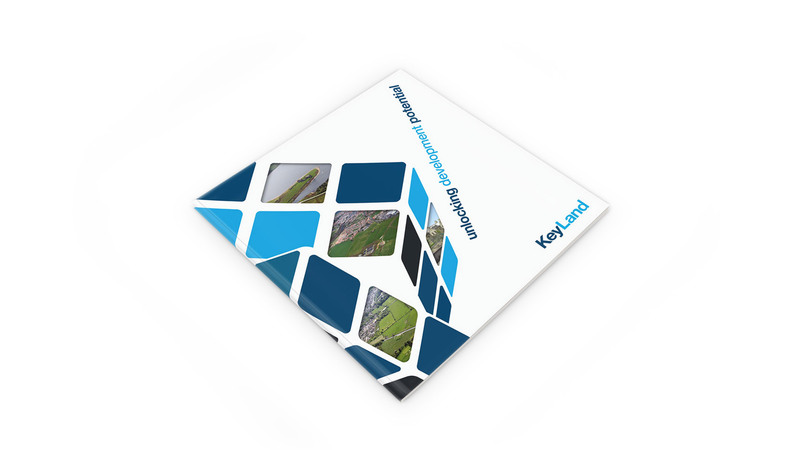 Rebranding Keyland began with gaining an understanding of the company – their services, core aims and, crucially, their main requirements from undertaking a rebrand. After careful consideration, our team developed a bold typographic logo with a concept-led style for their brand collateral. For their re-designed brochure, a smart die-cut product was the answer. 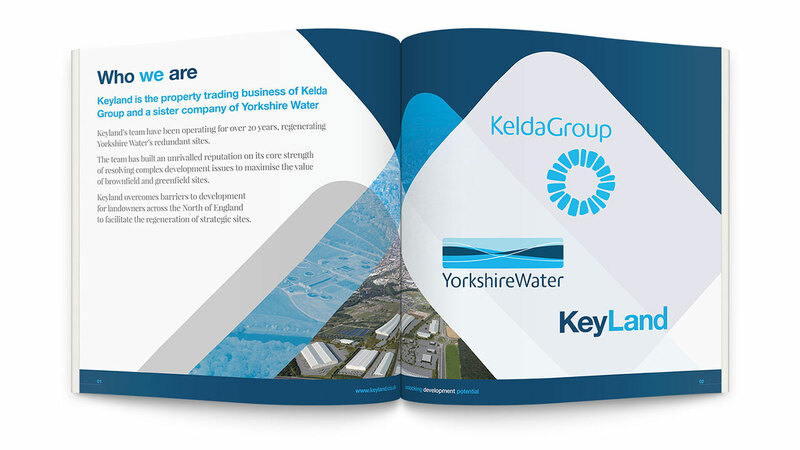 By incorporating the new concept-led design, we were able to create a brochure that stands out from their competition and, with such a unique feel, it is a brochure that is simply asking to be read! 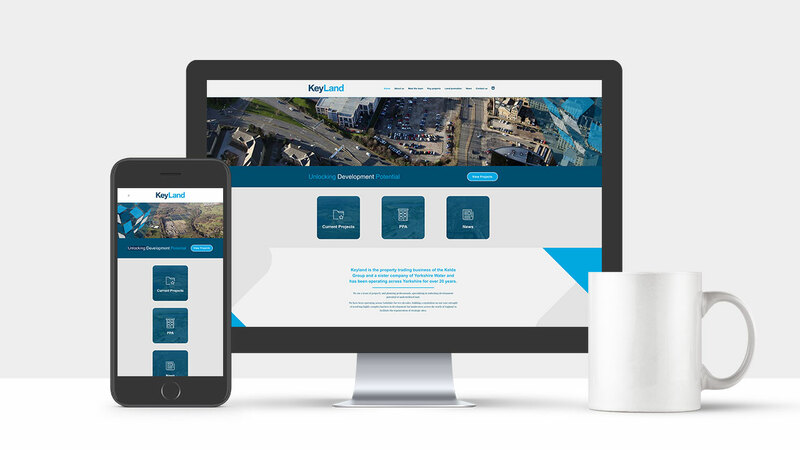 This was a feeling that our team really wanted to convey through their refreshed website. 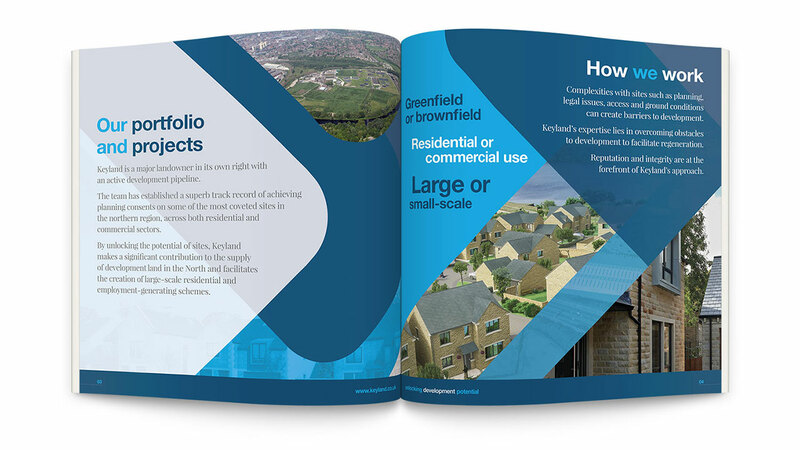 It’s not always easy to find the right balance between providing enough information whilst keeping it user-friendly, but with clear iconography, clean text elements and subtle styling, the end-result is an accessible website that clearly fulfils the initial brief. As always, the website was designed with responsivity at the forefront. It can be easy to create a nice design that works on a desktop, but forget that most people now access such websites on smaller devices. Our responsivity is never an afterthought, meaning that the website will look just as sleek and powerful on any device and the website will not compromise on design for smaller screens such as mobile phones or tablets. Looking for a responsive website? Considering rebranding but not sure where to start? We’d love to hear from you – let’s get your brand noticed!